Welcome To Our Complete Guide To The Beautiful Birman Cat Breed. Taking A Look At The Pros And Cons Of One Of The Most Loving And Lovable Pedigree Cats. Choosing a new cat breed to bring into your home is a more complex process than most people would initially think. It is important to do some research to ensure the breed is right for you. To guarantee you are able to give your new kitty everything she may require. Birman cats are popular for their distinctive looks and their relaxed temperament. 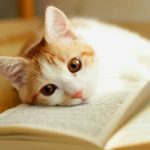 But there are other aspects that you will need to consider before deciding on any breed of cat, One of these is potential health problems. This article will look at everything you need to know before bringing a Birman cat into your family! 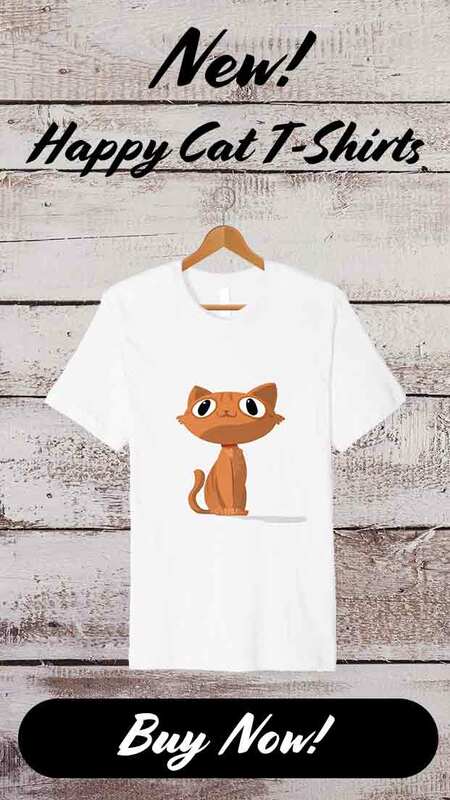 Helping you to decide whether this really is the right cat for you. 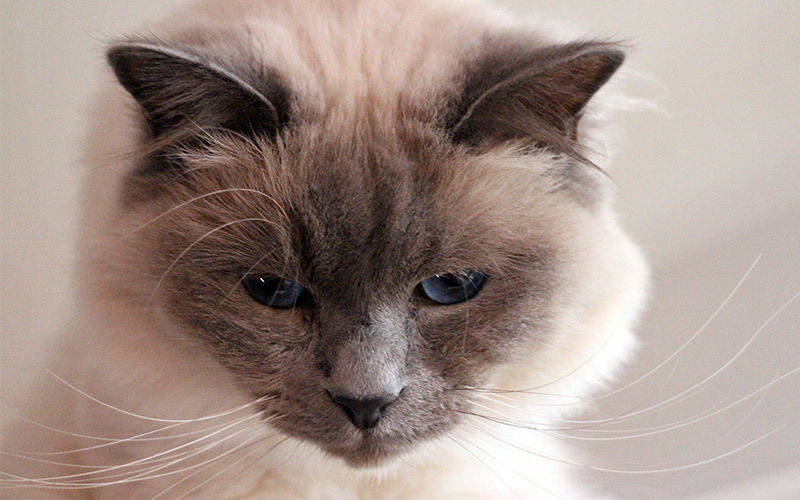 A breed’s origin is often a contributor to their popularity – as is the case with Birman cats! There isn’t a clear record of the origin of Birman cats, but this mystery only adds to the intrigue of these beautiful felines. It is claimed that Birman cats originated in Burma (now known as Myanmar), where they lived in temples with priests. These cats were transported to France in the early twentieth century, which contributed to the spread of the breed across the globe. Birman cats were officially recognised in France by 1925. However their numbers were severely cut during the Second World War. In fact, at one point they almost became extinct! Fortunately these lovely cats didn’t die out, and regained their numbers over the next few decades. They were officially recognised in England and America in 1966, having been introduced to both countries in the 1950s. Birman cats are praised for their calm, loving personalities, that make them great companions and brilliant family pets. They are affectionate to their owners and love attention and affection in return. Which won’t be hard, considering the beauty of the breed! Birman cats are intelligent, which makes them a good breed choice if you are interested in training your cat. They are also naturally curious cats. This means they are rarely fearful when meeting new people, and are well-suited for households with children or other pets. Birman cats are a medium sized breed. They can range from anywhere between 6 and 12 pounds in weight. Like most breeds, males are generally slightly larger and heavier than females. Birman cats are pointed, meaning their fur is generally light, with darker extremities, or ‘points’ – i.e. face, ears, feet and tail. These darker patches develops as the kitten grows. Birman cats are born completely white. It can take up to 18 months for a Birman cat’s color to develop fully. The point coloration of these cats range hugely. Including seal, blue, chocolate, lilac, red, and cream, as well as tortie and tabby patterns. Despite these variations in color, there are a couple of physical characteristics that are common among all Birman cats. Namely, their white feet and striking blue eyes. One main issue that prevents people from keeping cats as pets is allergies. Allergic reactions to cats are caused by a specific protein (Fel d 1) in the cat’s skin, saliva and urine. This allergen collects on the cat’s fur and spreads around your house as tiny flakes of skin, or dander. These allergens can last for months, meaning people can be affected even after the cat has gone. All cats produce this allergen, even hypoallergenic cats, they just produce less of it. Therefore, getting a hypoallergenic cat may not actually prevent allergic reactions – it will vary depending on the person. So, are Birman cats hypoallergenic? Birman cats have medium to long, silky fur with no undercoat. This means their fur is less prone to knots and matting than other cats such as Persians. Because Birman cats don’t have an undercoat, they potentially shed less fur, and less dander than other breeds. However, they are not a top, official hypoallergenic breed. This means, if you do suffer from cat allergies, you may benefit from choosing a different breed. 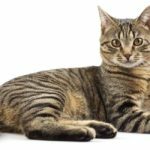 You can find out all about them in this article on Hypoallergenic Cat Breeds. Unfortunately, health problems are something we need to take into consideration when we get a new pet. We need to make sure we’re prepared to cover the cost of vet bills that potential illnesses could bring. Birman cats, unfortunately, are susceptible to certain health problems. Most commonly, Hypertrophic Cardiomyopathy (HCM). HCM is a disease that affects the left ventricle in your cat’s heart, preventing the proper pumping of blood. The exact cause of this disease is unknown, although genetic mutations and predispositions are suspected, meaning the disease may be hereditary. This reinforces the importance of choosing a good, reputable breeder when buying a Birman cat to avoid these genetic problems. You should have regular check-ups with your vet to ensure that your Birman cat stays as healthy and happy as possible throughout its life. Cats aren’t a short-term luxury, when you get a new kitten, you have to be prepared to care for it for the rest of its life. A healthy Birman cat can live anywhere from 12 to 16 years, making it a part of your family for a long time! Prices for buying a Birman kitten aren’t set in stone and will vary depending on the breeder you choose. Birman kittens can cost, on average, anywhere between $400 and $600 – which may seem a lot, but is a small price to pay for such a beautiful new member of your family! However, prices of course don’t end there, and you will need to look into pet insurance and take into account care costs, like food and vaccinations in their early life! Choosing a reputable breeder for your kitten is a really important process. You should find a breeder who cares for the cats they’re breeding by giving them a good standard of living and making sure their parents have the best medical history possible. They should never breed from a cat with a family history of HCM. 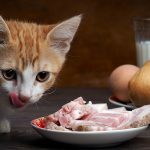 This will ensure that your cat will grow up to be healthy, and give it the smallest possible chance of developing hereditary health problems. You can make sure you choose a good breeder by looking at breeder reviews and asking them lots of questions about the kitten you’ll be buying and the cats being bred. It is also a good sign if your breeder asks you questions – showing interest in the person buying their kitten suggests they have its welfare at heart! Birman cat kittens are beautiful, with their white fur and bright blue eyes. Their fur colors start developing at around a week of age. Their colors aren’t fully developed until they’re around two years old, so be prepared to watch your kitten change lots after you bring it home! An alternative to buying a Birman cat through a breeder is to look at rescue cats. This is a hugely rewarding way to get a pet, although it means you won’t necessarily have your cat from the very earliest age. This is, however, a really great option for people who don’t necessarily want to raise a cat from kittenhood. Rehoming older cats who have been neglected or unwanted previously is a brilliant way to make sure all cats are getting a good life. It can also be a good alternative if you want a cat, but don’t want to, or can’t, experience the unlimited energy and potential misbehaviour of a kitten! Rescue cats prove the importance of making sure you’re ready for a cat. It’s a big decision, and it is not fair on the cat who gets abandoned when their owners are too unprepared. Birmans are increasing in popularity, but so are their mixed breed kittens. Mixing breeds is a delicate process, as we do not want to encourage any defective genes or health problems. Once again here, making sure you choose a reputable breeder is very important, as mixed breeds can suffer the hereditary issues of either parent breed. An especially popular choice for Birman mixes, is the Persian cat – people tend to love the pointed color on a Persian’s luxurious long coat! Should I buy a Birman cat? So, is a Birman cat right for you? 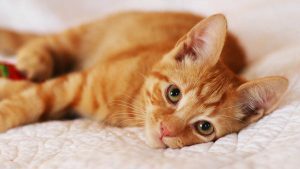 These beautiful felines have a very easy-going personality, and love receiving affection as much as they love giving it. They are intelligent, naturally curious cats that live well with families, as well as just a single owner and other pets. 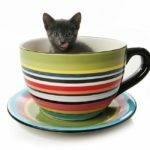 There are some potential health issues, and you should only buy a kitten from a breeder who is incredibly scrupulous about health checking the parents. 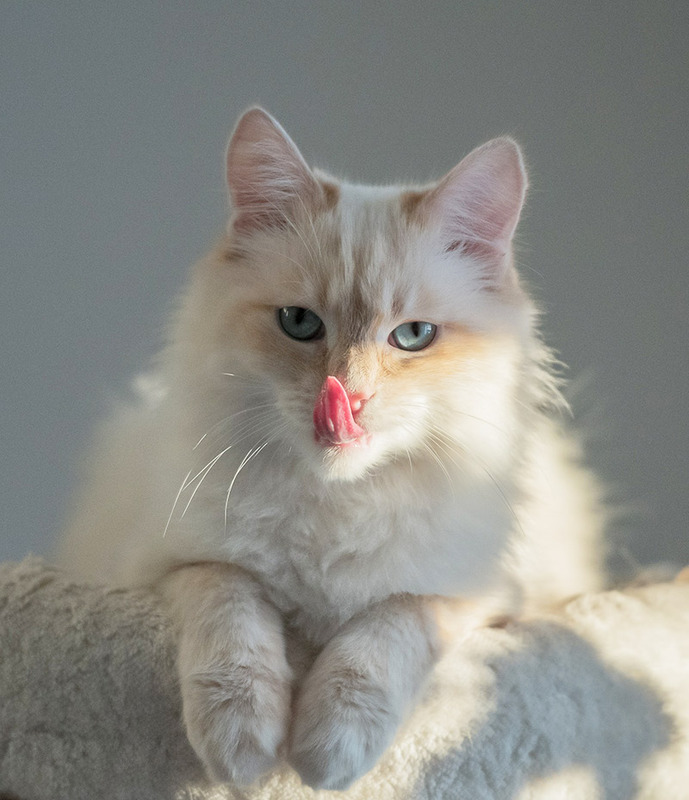 But as long as you’re prepared to investigate your breeder and keep up with regular health checks, a Birman cat could be a brilliant choice. 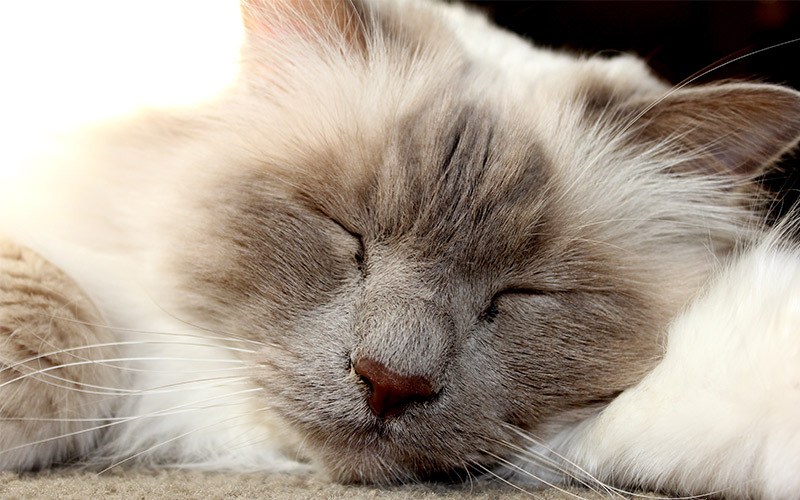 If you’ve had a Birman cat before, let us know your experiences with it in the comments!